Please contact store for in stock color options. We do carry many colors in house for immediate use. 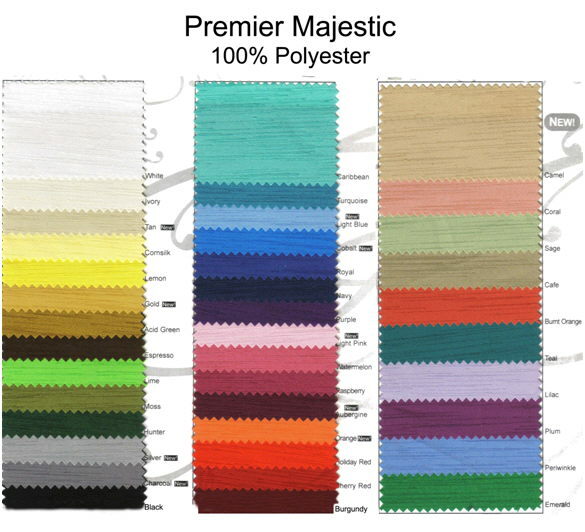 All majestic colors are available in a variety of sizes as well as drapery with advance notice. Please specify color request in the comment section of your quote. ** Please call us for any questions on our linen tablecloths majestic rentals in Fairview Heights IL.